New Dozier K-1, D-2 steel. Shown with my recently acquired Bark River. Dozier makes a fine blade. My Agent is often at my side. Yea this dude knows how to throw some sparks!!!! I am always inspired by his beautiful work!!!! That's a beauty. Great lines to it. Really like the clip point on it as well. Also really like how the pins fit perfectly within the concentric ovals of the G10. Gotta pick one up for myself someday. Which sheath did you get? I like the horizontal cross draw. 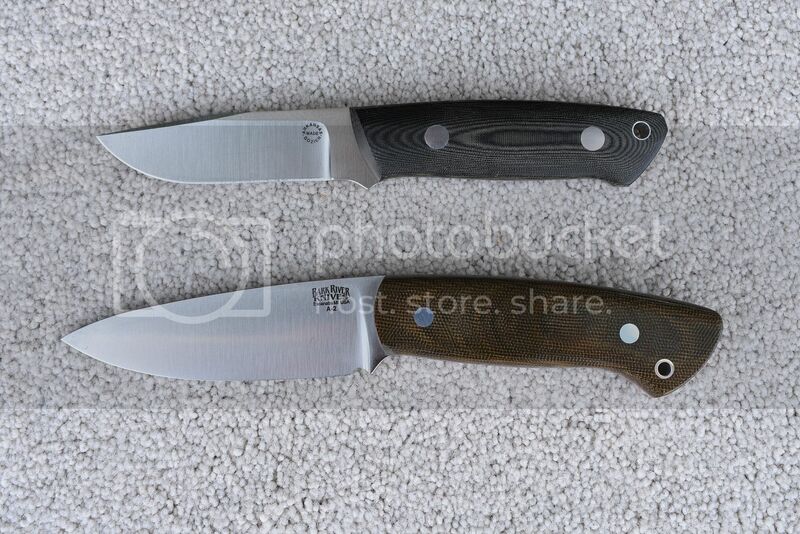 If you're interested in getting one he posts new knives weekly in Featured Inventory on his website. Sheath....It came with a black kydex, horizontal belt sheath. I may build one for it as well. I'm set up to do basic kydex work. I'm impressed by the K-1. Thanks for the link...or maybe; Damn You! He is one of my favorite makers.